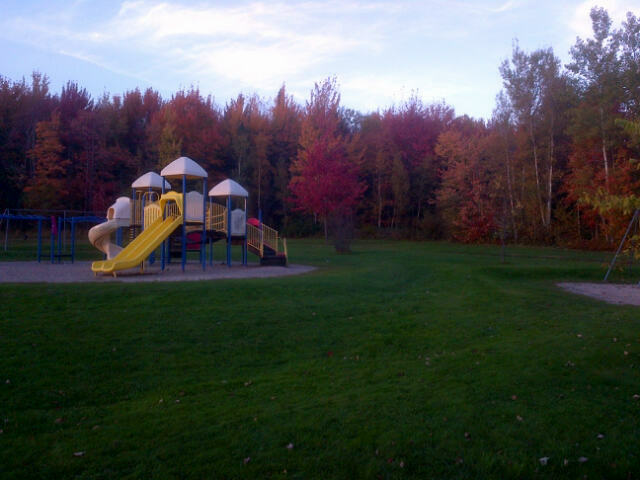 It is sometimes hard to let summer go but having a mild start to autumn helps ease the transition and that is what happened in Greater Moncton during October 2013. Daytime highs and overnight lows were mostly above normal for the first two-thirds of the month but a drastic change in the last one-third of October led to mainly single digit highs and lows below freezing. Due to the absence of post-tropical cyclones, rainfall was well below normal and not a single snowflake was recorded. A cold, frosty start led to new record lows in at least six communities in New Brunswick today. Environment Canada reports Bouctouche and Bathurst both fell to -7°C and Kouchibouguac dropped to -6°C. Doaktown was the cold spot in the province at -8°C. The temperature fell to -6.8°C at the Greater Moncton International Airport which was just shy of the record of -8°C from 1985. Hurricane strength winds battered Britain, northern France, the Netherlands and Scandinavia on Monday, cutting power and hampering air and rail travel. 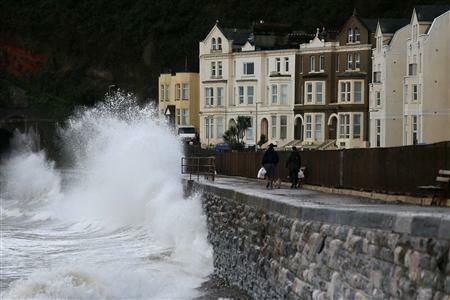 Gusts of up to 160 km/h lashed southern England and Wales – the worst in a decade according to forecasters. Thousands of London commuters were stuck at home after train and Tube lines were forced shut by toppled trees and power failures. 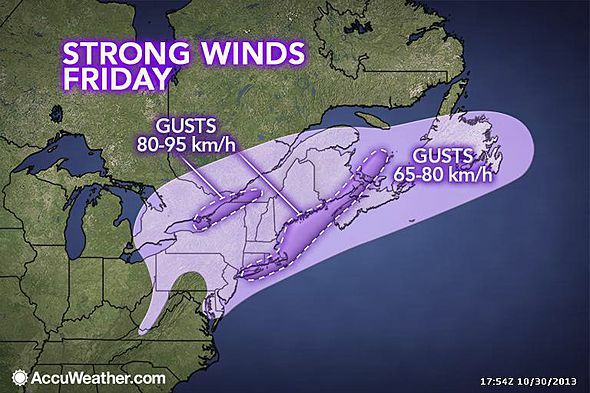 Reports say more than a dozen people have been killed so far in the powerful autumn storm. 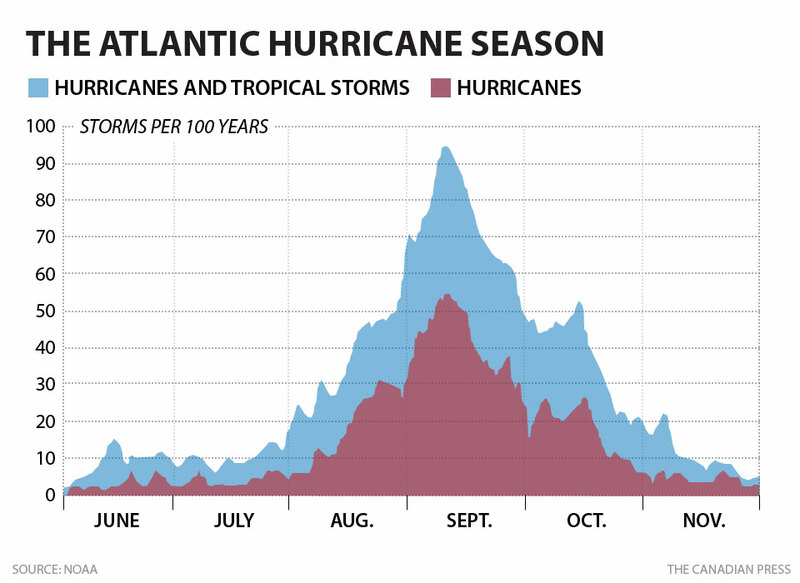 The 2013 Atlantic hurricane season is drawing to a close and it turned out to be a big bust. With only a few weeks left, it’s now clear that American forecasters – who called for a busy season – were way off the mark. In the spring, the U.S. National Oceanic and Atmospheric Administration predicted unusually warm ocean temperatures would spawn between seven and 11 hurricanes and three to six could become major hurricanes with winds exceeding 178 kilometres an hour. This year, there have been 12 named storms but the number of hurricanes and major hurricanes is well below average. A dozen named storms is average for a season, which spans from June 1 to November 30. The Canadian Hurricane Centre in Halifax says forecasters have issued bulletins for only two storms this year, Andrea in June and Gabrielle in September and both had little impact on the Atlantic region. More than 60 bushfires burning in Australia’s most populous state have prompted officials to declare a state of emergency. At least 3,000 firefighters and nearly 100 aircraft are battling the blazes in New South Wales under catastrophic conditions including high temperatures, low humidity and strong winds gusting up to 100 km/h. 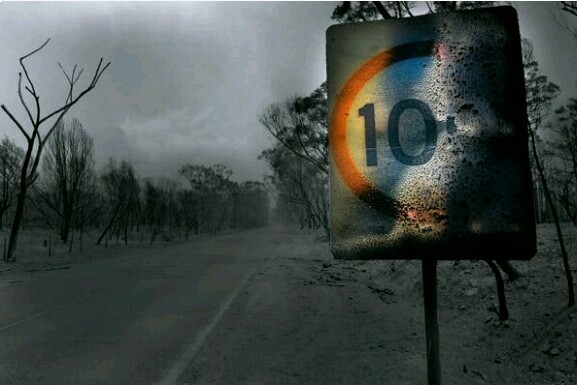 Many communities have been evacuated in the Blue Mountains region, west of Sydney, where over 200 homes have been destroyed by the bushfires. Heavy smoke has been drifting into Sydney and its suburbs since last week. In an effort to contain the blazes and prevent them from spreading, firefighters have been lighting controlled fires. Time to grab a rake! The leaves have been falling from trees at a rapid pace in Southeast New Brunswick this week. The fall colours have now passed their peak in the region and some trees are already bare of leaves. 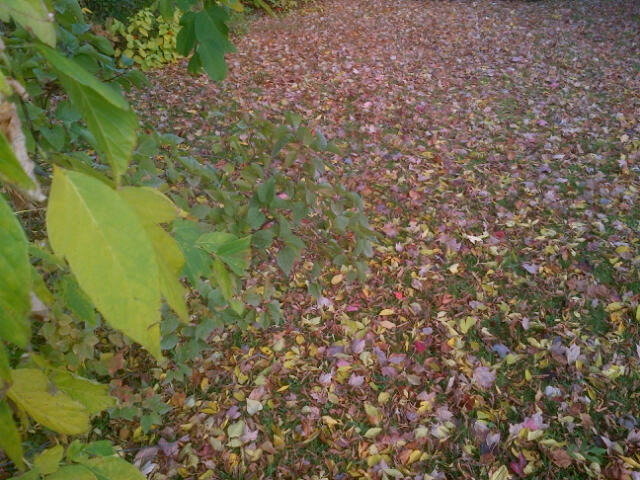 Rain, wind and dwindling daylight have been the right combination to bring the leaves down. 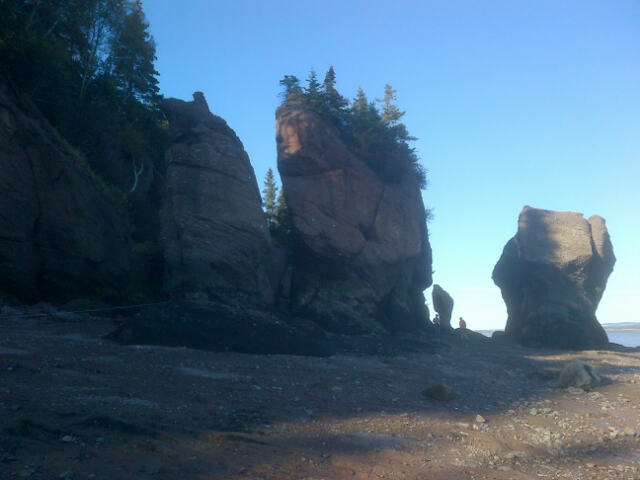 Hopewell Rocks Provincial Park is one of my favourite places to visit in New Brunswick. Usually, I explore this beautiful site a few times per year and I’ve taken dozens of photos there. Over the Thanksgiving weekend – the last one open to the public for the 2013 season – I made another trip to this amazing spot. As Canadians, we have so much to be thankful for especially when we look around the world and see so much chaos. In Greater Moncton, the temperature climbed to a balmy 17°C under a beautiful blue sky. 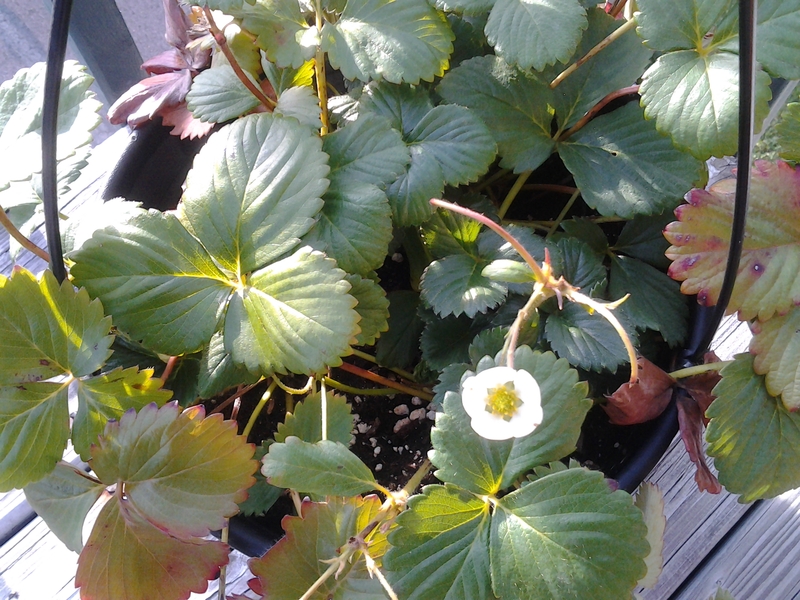 The warm weather was enough to allow my strawberry plant (above) to continue blooming in mid-October. 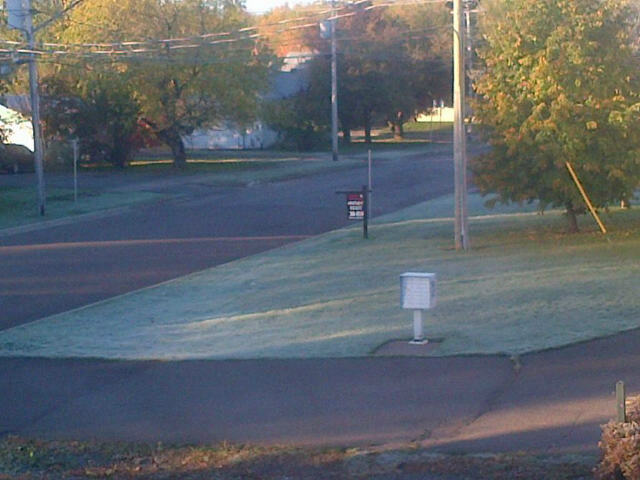 For the first time since 19 May, the temperature fell below freezing this morning in Greater Moncton which led to widespread frost. Environment Canada reports the thermometer dipped to -1.4°C and some communities in New Brunswick dropped to as low as -4.0°C. If you add up the days that means Greater Moncton had 145 days above freezing in 2013 – slightly more than usual.